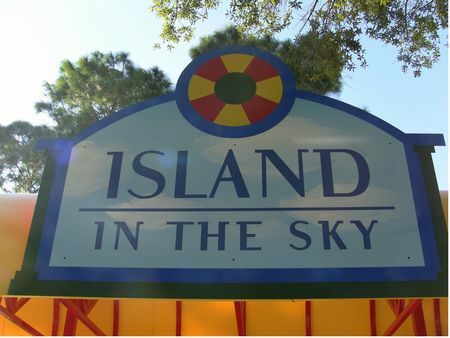 Island in the Sky is a former at Legoland Florida. It is now closed. Island in the Sky is a 150 foot rotating platform which gives you a veiw of the whole park.